The Phoenix Lynx Keylock Safe Size 1 is a safe which offers security to cash and valuables in the home or business. 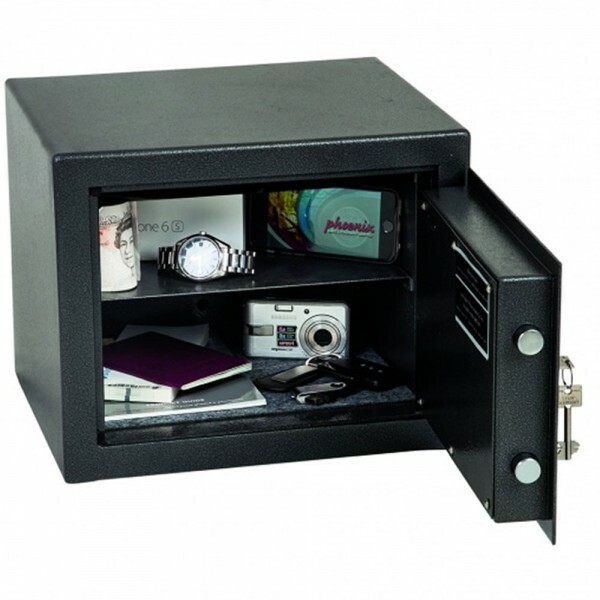 It conforms to the German VDMA 24992 standard protecting cash of £3,000 or valuables worth £30,000. Furthermore. It is fitted with a high security double bitted VDS class 1 keylock which is supplied with 2 keys. 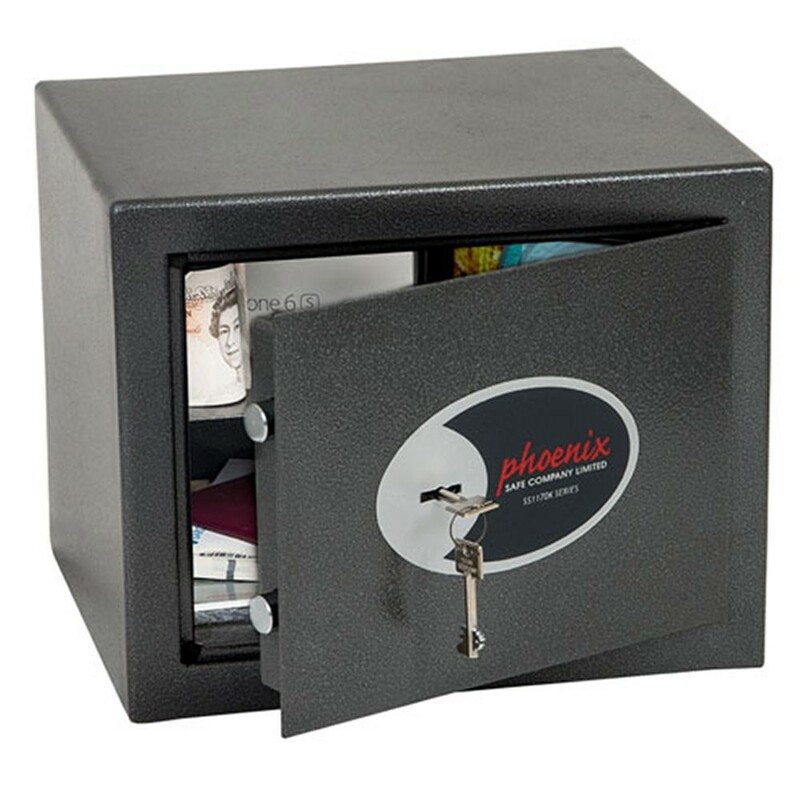 The Phoenix Lynx Keylock Safe Size 1 has double walls and the door is secured by twin live locking bolts and concealed internal hinges ensuring maximum protection. Concrete fixing bolts are supplied for floor fixing and has a high quality Metallic Graphite paint which is resistant to scatches.